February 29, 2012 “Information Clearing House” —The American Israel Public Affairs Committee (AIPAC) is one of the most powerful lobby organizations in the U.S. On March 4-6, AIPAC will be holding its annual policy conference in Washington DC. The speakers include Israeli Prime Minister Benjamin Netanyahu, U.S. President Barack Obama, Secretary of Defense Leon Panetta, Republican candidate Newt Gingrich and a host of other powerful politicians. AIPAC has tremendous clout but its influence has been disastrous for U.S. foreign policy and U.S. democracy. Here are reasons (edited for space) why AIPAC is so dangerous. 2. AIPAC promotes Israeli policies that are in direct opposition to international law. These include the establishment of colonies (settlements) in the Occupied West Bank and the confiscation of Palestinian land in its construction of the 26-foot high concrete “separation barrier” running through the West Bank. The support of these illegal practices makes it impossible to achieve a solution to the Israel/Palestine conflict. 4. AIPAC attacks U.S. politicians who question unconditional support of Israel. 6. AIPAC feeds U.S. government officials a distorted view of the Israel/Palestine conflict. 7. AIPAC lobbies for billions of U.S. tax dollars to go to Israel instead of rebuilding America. 8. Money to Israel takes funds from world’s poor. Israel has the 24th largest economy in the world, but thanks to AIPAC, it gets more U.S. tax dollars than any other country. No More War! Peace Now! Indefinite detention is about to become the law, and we’re teaming up with Noam Chomsky, Chris Hedges, Daniel Ellsberg, RevolutionTruth and others to try to reverse it. Will you click here to show your support as we seek a restraining order to block the implementation of the NDAA? On January 1, 2011, President Obama signed into law the National Defense Authorization Act For Fiscal Year 2012 (NDAA). The National Defense Authorization Act is a bill passed into law each year. It allows the government to continue funding national security interests and the military for the next fiscal year. This year’s bill, however, was different. The 2012 NDAA greatly expands the power and scope of the federal government to fight the so-called “War on Terror”. The law authorizes the US military, for the first time in more than 200 years, to carry out domestic policing. The language of this law is dangerously vague. It grants dictatorial powers to the federal government to arrest any American citizen without warrant and indefinitely detain them for life anywhere in the world without any charge. Suspects can be shipped by the military to our offshore prisons and kept there until “the end of hostilities”. It is a catastrophic blow to civil liberties. In a nation where the definition of “terrorist” seems to be ever-expanding, and where a series of laws passed since 9/11 have severely undermined Constitutional protections, the NDAA has gone too far. It is time to unite and stand up to this assault on our fundamental rights and freedoms. Help stop the NDAA: Sign up to email your lawmakers to let them know that you support this lawsuit against the United States government — Just click here. If you’re already on Facebook, click here to share with your friends. Please forward to friends and do what you can to support this noble effort for Pu’uhonua as alternative to prisons. This is Uncle Sam Kaleleiki sending out a Kahea! Saturday, May 12th at the King Kamehameha statue in Hilo. We need kokua to serve on our planning committee. We need kokua to make the stew. We need kokua to sell the tickets. We need kokua to play music. Right now we have 534 of you who have signed on to our Kahea to support Pu`uhonua as an Alternative to Prison. It seems this movement is picking up steam with the possible passage of a bill in the Hawai`i legislature to direct the Department of Public Safety to work with us and other restorative justice groups to plan for a Pu`uhonua or Wellness Center, preferable at the site of the Kulani prison, and to bring the plan back before the legislature next year. 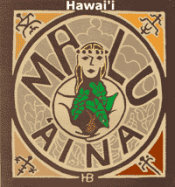 The news of this bill has been carried in the press in 36 states of the USA and Washington D.C.
to donate materials or funds for the Ho`olaulea. Please save the date: May 12th at the Kamehameha statute! 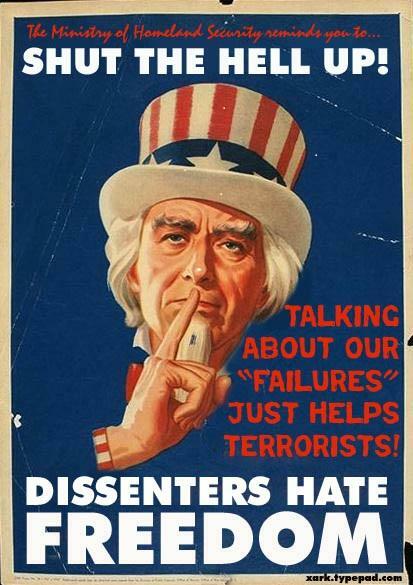 Uncle Spam says: Don’t Protest U.S. Occupation, Wars for Oil and Arms Makers, Wall St. Bank Crime, Corruption in Government, Corporate Money Buying Elections and Killing the Planet, Tax Cuts for the Rich and Cuts in Education, Health Care, and Social Safety Net programs for the poor and elderly, No Jobs, Higher Debt, Foreclosures, etc. If you protest, you may be subject to indefinite military detention, or targeted assassination by Special Ops Teams and/or Drone Attack! Freedom is Silence! War is Peace! 1. Mourn all victims of violence. 2. Reject war as a solution. 3. Defend civil liberties. 4.Oppose all discrimination, anti-Islamic, anti-Semitic, etc. P.O. Box AB Kurtistown, Hawai`i 96760.